Only 10 out of 100 persons who use these words can boldly state the difference(s) between them. This is because most English users use words without bothering to check out their meanings in the dictionary. They use them because others are using them. These words: heard, overheard and eavesdrop have to do with hearing (that is, to perceive sounds through the ears). This is the similarity between them. However, the only difference among these words is how - how did you perceive the sound? "Heard" which is the past and past participle tense of "hear" has a general meaning, that is, to perceive sounds with the ears. Therefore, if you hear something, it's just a general word meaning - to perceive sounds. It also means that you were involved in a conversation with another person(s) and through that conversation, you heard certain things. I heard that Nigeria is out of recession. Overheard, the past and past participle tense of "overhear", has a specific meaning. Unlike "heard", if you overheard something, it means you accidentally heard a conversation that you were not part of so you were not intended to hear that information. In this case, nobody told you; you accidentally got the information while others were discussing it. I overheard that Nigeria is out of recession. 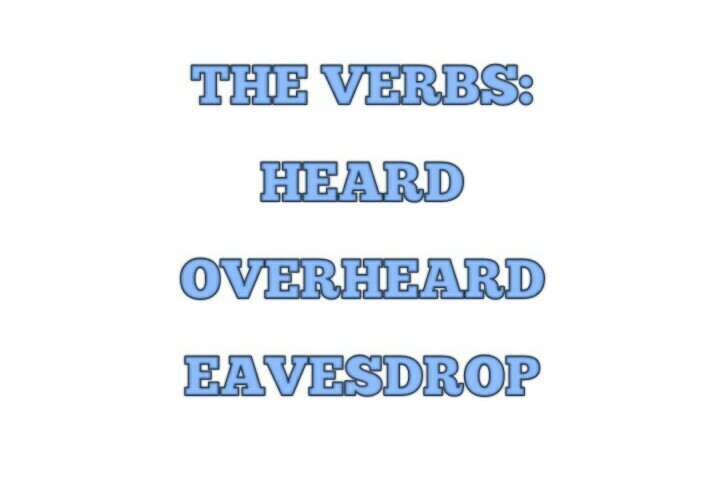 When you intentionally go up to your parents' door to listen to their private conversation, you are eavesdropping on your parents, and the verb used is “eavesdrop”. In this case, you didn't hear the conversation accidentally. You did it on purpose. It is very impolite. Please check the door to ensure that nobody is eavesdropping on our conversation. As stated earlier, these words have to do with hearing, but the only thing that differentiates them is the question "how?". How did you hear what you heard? The answer to this question will give you the right word to use. If someone told you, the verb used is "heard". If you heard it accidentally, the verb becomes "overheard". 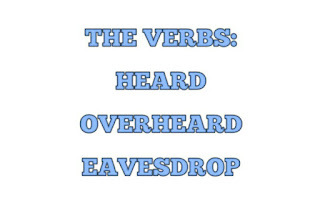 If you heard it by secretly listening to the conversation of others, the right verb to use is "eavesdrop".